Fire safety in a workplace is one important factor that all companies, regardless of the size and nature of business, should give top priority to. Fire presents significant risk to businesses causing damages to life and property that are sometimes irrevocable. The best way to ensure workplace safety from fire-related accidents and prevent fatal / non-fatal fire accidents at workplaces is by providing suitable training to all levels of personnel working within the company. Onsite practical training sessions, where participants will be made to extinguish various types of simulated fires with the help of the right fire fighting equipments are provided to help develop a better understanding and skills in the area of fire protection and safety. The knowledge and skills learnt by workers during the training can prove invaluable in avoiding potential fire related incidents and enable them to respond quickly and appropriately to emergencies. Fire is the big threat to all organizations and providing firefighting training to all workforces can mean the difference between life and death in the event of a fire in the workplace. By providing sufficient firefighting training to your employees, you will not only be ensuring the safety and protection of your workforce but also that of your property. Take action today and make an investment that will prove fruitful for your company in the long run. Contact us at SLC to meet all your workplace fire fighting training in Riyadh, Saudi Arabia (KSA) and consultancy requirements. We are one of the fast growing service providers of Health Consultancy and Occupational Safety and Training Services based in Riyadh, Saudi Arabia. 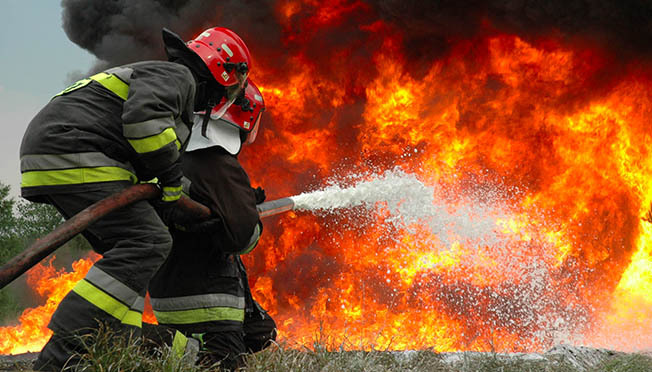 Our firefighting courses are designed to equip your workforce with up-to-date knowledge of basic firefighting skills and fire prevention knowledge in the workplace. We offer training courses that are individually tailored to meet client’s specific requirements. Get in touch with us for your training requirements and ensure a workforce fully competent to handle fire emergency situations in the workplace.